Oftentimes when I listen to jazz, I listen to one album at a time. I like hearing a collection of songs that were recorded at one time. It's like a piece of history, a moment in time. How did someone improvise in one moment of time? This album features Sonny Stitt on alto and tenor saxophones, Oscar Peterson on piano, Ray Brown on bass, and Ed Thigpen on drums. The album has the feel of a jam session in its improvisation and lax nature. It seems like everyone is just hanging out like good friends. The album is mostly standards in its song choices. 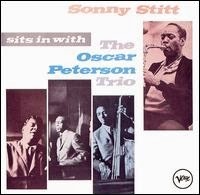 I love the way Sonny Stitt plays on this album- he sounds so free and happy. His tone is bright and cheery- this album always cheers me up! The song "Sugar" features Stanley Turrentine on tenor saxophone, Freddie Hubbard on trumpet, George Benson on guitar, Lonnie Smith on electric piano, Ron Carter on bass, Billy Kaye on drums. The rest of the album features many more personnel. I love this album for its soulfulness, and the great solos. I love the way everyone interacts- there is such a strong coherence between everyone in the group. In my opinion, Turrentine has the best saxophone tone I've ever listened to. It seemed pretty impossible to pick a favorite Miles Davis album in particular, but this is one that I always go back to because of my love of the "second great quintet". 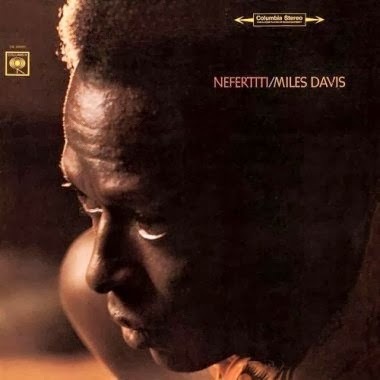 This album features Miles Davis's "second great quintet" comprised of Miles Davis on trumpet, Wayne Shorter on tenor saxophone, Herbie Hancock on piano, Tony Williams on drums, and Ron Carter on bass. "Nefertiti"- the title track- is known for having the melodic instruments repeat the melody with the rhythm section improvising underneath the melodic line- this was a new concept. I love when Miles and Wayne offset each other in the melody, and I love the layering effect. I think this band interacts and communicates very well with each other- it's like they can read each other's minds! This album features multi-instrumentalist Eric Dolphy, and a European rhythm section. There are two volumes of this album, and I suggest to listen to them both. Dolphy is one of my favorite jazz musicians- he is sometimes considered to be "free jazz", but he is also rooted in bebop and classical music. I love that when you listen to him, you can hear a sort of honesty that you can't find in many artists. He is very vocal in his approach to improvising. It is so amazing to hear him play and improvise on several instruments so well- I want to be able to do that! I have talked about this album, and other songs from this album on previous blogs, but it truly is one of the most beautiful albums I have ever listened to! This album features Charlie Parker on alto saxophone, along with a group of string, wind, and rhythm section instruments. The album is all standards in its song choices. 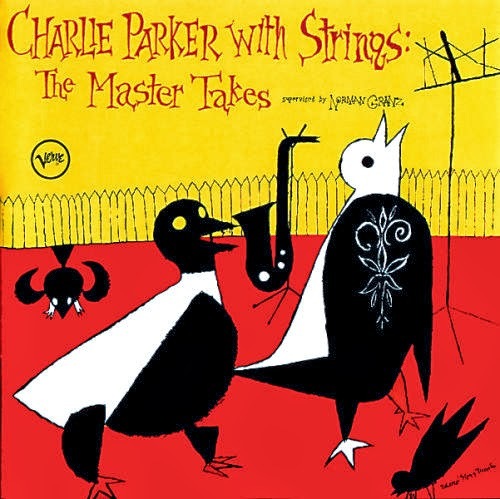 Yet, Charlie Parker plays every standard with so much emotion and honesty. His improvisation is tasteful and engaging. There's not much more to say other than to check it out! And I know this list left out many of my other favorite albums, (I'll do more blogs on those!) but these came to mind as ones I love to listen to all of the time. So check them out- maybe you'll find a new favorite jazz album too! Leave a comment below sharing your favorite jazz album(s)!